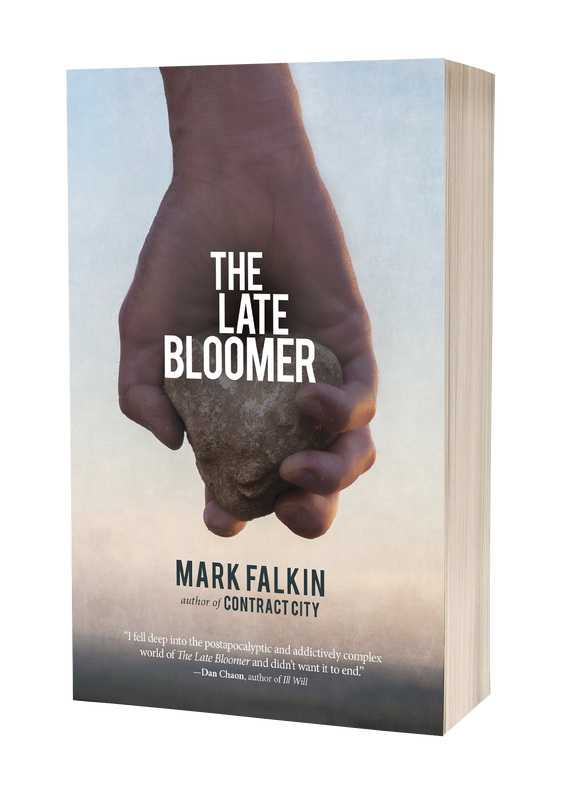 In Mark Falkin's THE LATE BLOOMER, the world experiences an abrupt and unthinkable cataclysm on the morning of October 29, 2018. Kevin March, high school band trombonist and want-to-be writer playing early morning hooky, is witness to its beginning, though he isn’t as shocked by it as he thinks he should be or wishes he could be—these dreams he’s been having; this story that he wrote; his little brother’s night terrors and sleepwalking. Surprised or not, Kevin now not only finds himself pitted against forces these changes have wrought in order to survive, but soon discovers that he may have a crucial role in this new world, one that he is reluctant to play. Depicting an unspeakable apocalypse unlike any seen in fiction—there are no zombies, viruses or virals, no doomsday asteroid, no aliens, no environmental cataclysm, no nuclear holocaust—with a Holden Caulfieldesque protagonist at his world’s end, The Late Bloomer is both a companion piece to Lord of the Flies and a Bradburyian Halloween tale. And though crossover-oriented and delivering genre-novel fear, The Late Bloomer is harrowing, grim and poignant in the way of McCarthy’s The Road. Told in Kevin March’s singular and unforgettable voice, delivering a gripping narrative with an unsparing climax as moving as it is terrifying, The Late Bloomer defies expectations of the genre and will haunt those who read it.